The ward had been due to take part in district-wide elections on May 2, but due to the sad death of a candidate the poll for St Osyth was delayed and will now be held on May 23. Nominations have re-opened, though previously registered candidates will have their nominations carried forward. Voters in the Point Clear part of the ward can still vote on May 2 to elect councillors to St Osyth Parish Council, and a letter is to be sent to all households in St Osyth explaining the position. In Great Oakley a new election is also being called for the Parish Council as not enough candidates stood previously. The two who stood have been elected, but nominations have re-opened for up to seven more seats on the parish council. In line with national guidance and following the extension granted by the EU to Brexit, the Notice of Election for the European Parliamentary Elections has also been issued, with voting also taking place on May 23 unless the UK leaves the EU before that date. 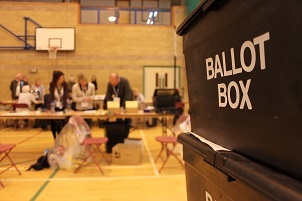 European elections are run on a regional basis, with the East of England Regional Returning Officer based in Chelmsford, but the poll in Tendring will be run by the TDC team. People wishing to register as candidates for the European elections should contact the offices of the Regional Returning Officer, Civic Centre, Duke Street, Chelmsford CM1 1JE, between Monday to Friday 10am-4pm (excluding bank holidays) or from www.chelmsford.gov.uk/europeanelection by 4pm on Thursday, April 25. For each of the elections above people wishing to vote have until May 7 to register, if they are not already. The deadline for receipt of postal and proxy vote applications is May 8. Poll cards for the above elections will be issued to registered voters shortly. The poll cards for the re-arranged St Osyth district election will be yellow and the poll cards for the European elections will be white. To register to vote, find out more about nominations, or for any further information, visit www.tendringdc.gov.uk/elections or call the Elections public hotline on 01255 686575.